With CyFOCUS, anyone can create a professional website in no time flat. In fact, thousands of our users have published their sites in less than an hour. And not only does CyFOCUS help you build a website that looks fantastic, but it also helps you engage with new people via Google, Facebook and other social networks. CyFOCUS is for small business owners, dreamers and schemers who want to connect online with people who will benefit from their products, services and ideas. If your new website is published in an empty digital forest, will anyone, er, notice its arrival? Probably not. You need to be intentional about bringing traffic to your new website. If “search engine optimization” sounds like a foreign language, you’ll want to introduce your idea to the internet with an all-inclusive website builder that goes beyond attractive templates. Other website-building tools can help you create a nice-looking site, but CyFOCUS is kicking things up a notch. CyFOCUS is a website builder with fully integrated marketing and eCommerce tools. So as your business or idea grows, CyFOCUS grows with you. Start with a simple site now and add new capabilities — like email marketing or an online store — when you’re ready. As a CyFOCUS user, you’ll always have the tools you need to thrive online and IRL (that’s apparently how the kids write “in real life” these days). At CyFOCUS, our vision is to radically shift the global economy toward life-fulfilling independent ventures. So whether you run a small business or have an exciting new idea to share with the world, we get you. You’re big on energy but short on time. CyFOCUS is specifically designed for people just like you. Designs tailored to your idea or industry: DesignTell us the name of your site and the nature of your idea or business, and we’ll suggest relevant site features, content and images. Then make it your own by customizing the site features and adding your own photos and content. Thousands of professional images: With a free library of professional photography, your website will always reflect your expertise and passion. Have your own photos? You can upload those, too — even from your phone. 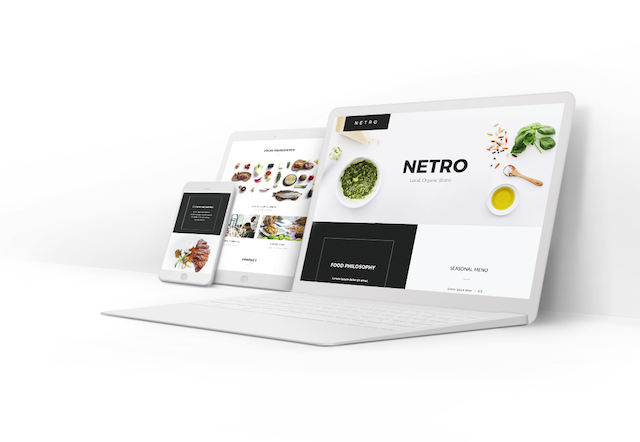 With the CyFOCUS Website Builder editor, you can change the layout of your site with a single swipe, allowing you to experiment with a variety of intuitive website designs. We call it swipe-to-style; you might call it magic. And if you prefer to drag and drop individual sections to customize your design, you have the creative license to do so. Customize each of your website’s pages by mixing and matching content sections to suit your needs. Your design is guaranteed to look good no matter which sections you choose. And as your needs change, you can always add new features. When you’re ready to add an email signup form, a calendar of events, or a video, it’s easy to update your CyFOCUS site. Create a professional website — no design skills required. Our design professionals have selected styles, colors and fonts that coordinate beautifully, so you’ll look good no matter which you choose. Release your new website into the world with a memorable web address that reflects your brand or personality (e.g., mycoolsite.com). Not ready? Publish with your own subdomain on CyFOCUSsites.com (e.g., mycoolsite.CyFOCUSsites.com) now and add a custom domain later. “Marketing” may not be your middle name, but if you’re going to invest in a website, you need to put some marketing power behind it. With CyFOCUS, you get baked-in marketing features that help you show up in search results, connect with people on social media and drive repeat traffic. When you make changes your website, CyFOCUS saves you time by automatically updating your online marketing presence for you. Help more people find you when they search online. 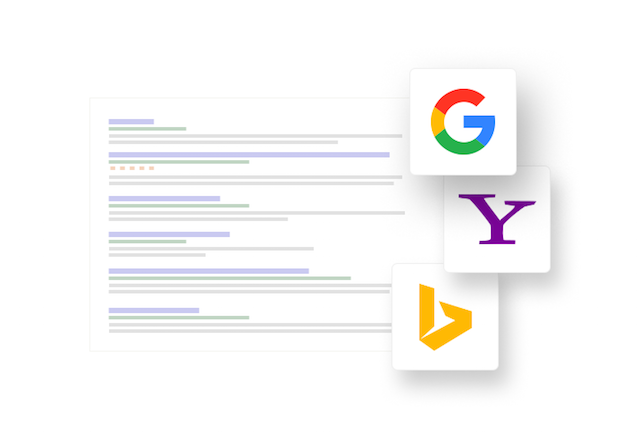 CyFOCUS automatically optimizes your website for search engines like Google, Yahoo! and Bing. Your site’s search engine rankings can have a huge effect on your business. With more than one billion daily active Facebook users worldwide, having a well-maintained business Facebook page is critical to building your online presence. CyFOCUS makes it easy to update an existing Facebook page or create a new one with the information and photos on your website. Drive more foot traffic by ensuring that your business information is accurate in local listings. 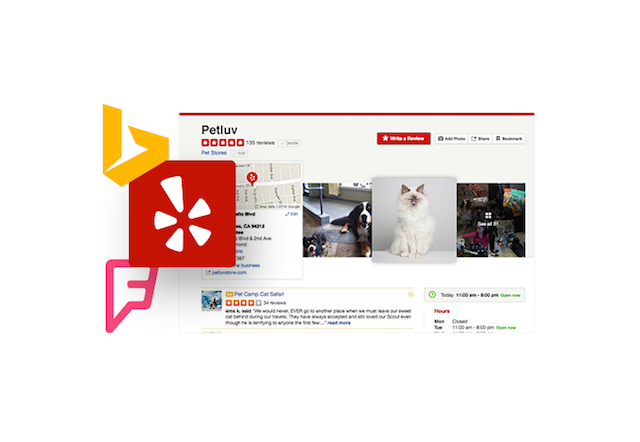 List your business name, address and phone number, and hours on more than a dozen local online directories such as BizPR, SmallBizPages, SmallBizAds, BizEvents, Yelp, Bing Local, Foursquare, Citysearch and Yellow Pages. Start building an email list by adding a Subscribe Now section to your website. Then use our built-in email marketing tool to send email campaigns that drive repeat traffic and help you build a following. 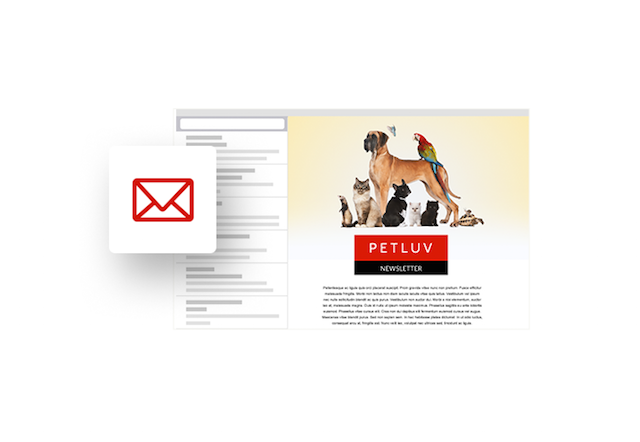 CyFOCUS automatically creates eye-catching emails designed to match your website. You can manage multiple email lists, track campaign results, and more. Keep your website up to date from the bus, the coffee shop, or your sofa. With our mobile editor, you can update your website anytime, anywhere. Customize your site design, upload new photos, and change content from your phone or tablet — no app required. Whether you’re ready to start selling online now or think you might want to later, it’s easy to build a mobile-friendly online store using CyFOCUS. Your online store will offer a seamless shopping and checkout experience — even on a mobile phone — making it super simple for potential customers to say “yes” to whatever you’re trying to sell. With CyFOCUS Online Store, you get everything you need to sell online. List as many products as you like, including up to 10 images per product. 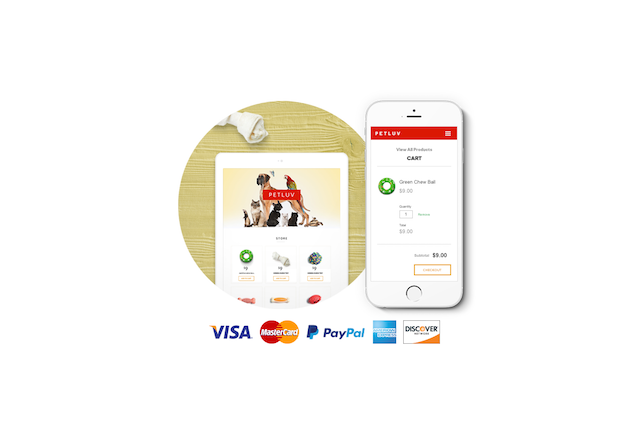 Accept your customers’ preferred payment methods, including all major credit cards, PayPal, and Apple Pay. Just 2.9% + 30 cents per transaction. Use our default shipping methods or customize your settings. You can offer everything from free shipping to real-time, carrier-calculated shipping costs. All too often, online shopping carts get abandoned. Use automated reminder emails to encourage customers to complete their purchases when they’ve left items in their cart. CyFOCUS CyFOCUS Mobile FriendlyIf your site is mobile-friendly, customers are 67-percent more likely to buy. Sites built with CyFOCUS CyFOCUS are automatically optimized to look great on any device. Before publishing your site, use our side-by-side previews to see exactly what your customers will see on their mobile devices or laptops. Our award-winning customer support representatives are always ready to help you bring your idea online. If inspiration strikes at 2 a.m., we’re here. Call or connect with us online anytime. We’ve seen CyFOCUS sites built for small businesses and personal passion projects alike. Professional websites for wine brokers, fitness studios, trucking companies, real estate agents and HVAC companies. Fun and engaging sites for community choirs, clubs and ‘80s cover bands. CyFOCUS is designed for small business owners and anyone who has a great idea to share with the world. Whether you bake cakes, mow lawns, or sell scarves, we have the perfect solution for you. It’s easy to share your brand with the world using CyFOCUS’s website-building, marketing and eCommerce tools. Start a site today for free. We’d love to hear what you think.